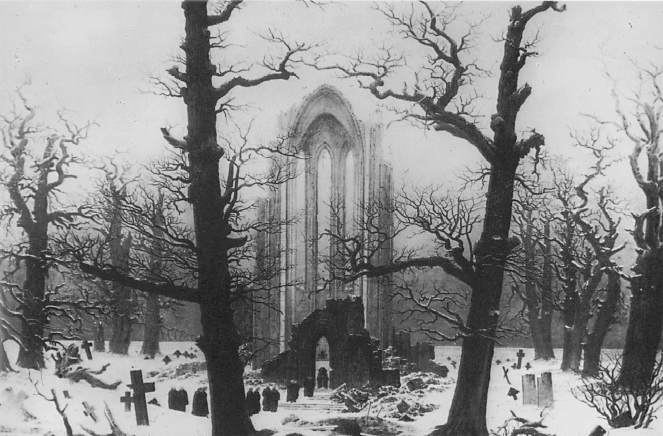 Caspar David Friedrich,　Cloister Cemetery in the Snow. wishing you were somehow near. knowing that I never would. all that you dreamed I could! you were warm and gentle. why can't the past just die! knowing we must say goodbye! No more gazing across the wasted years!